SYDNEY, AUSTRALIA - At least 49 people were killed and more than 20 seriously wounded Friday in shootings at two mosques in Christchurch, New Zealand. While Bush refused to name the person who has been charged, Television New Zealand (TVNZ) has identified the gunman as Brenton Tarrant from Grafton, New South Wales, Australia. Australian Prime Minister Scott Morrison confirmed the man who was charged is an Australian citizen, and he described the suspect as an 'extremist right-wing violent terrorist. The chief suspect live-streamed the assault on Facebook from a head-mounted camera, and the footage showed how victims were killed inside one of the mosques. Social media sites were asked to remove the horrific footage. The shooter broadcast the 17-minute live footage after publishing a 74-page white nationalist manifesto in which he denounced Muslims and called immigrants invaders. The document states he was influenced by violent acts committed by other right-wing extremists including American Dylann Roof, who murdered nine black people in a Charleston, South Carolina, church in 2015. The manifesto is full of conspiracy theories about matters such as white genocide, the most recent indication that the white nationalist movement and ideology has expanded globally. He said he chose New Zealand to show that even the most remote parts of the world were not immune to mass immigration. The document was posted on Twitter and 8chan, a website known for extremist right-wing discourse. Forty-one of those killed were at one mosque and children are among the 48 people being treated for gunshot wounds, officials said. Dozens of others were wounded. Bush said a 'record number of firearms' was recovered at both mosques. 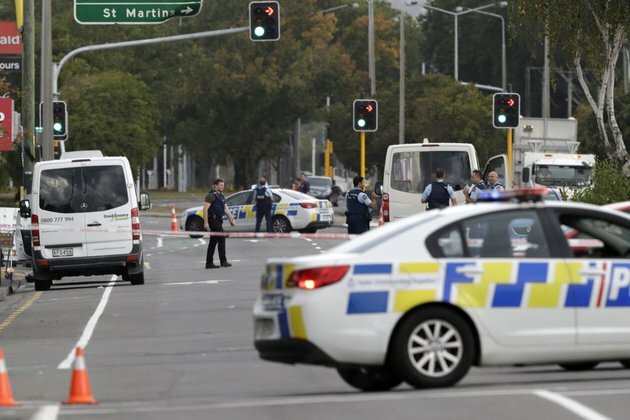 Worshipper Ahmed Al-Mahmoud told New Zealand television a gunman entered a mosque and began shooting like everyone in the mosque, like everywhere, prompting worshippers to smash door and window glass in an attempt to flee. Prime Minister Ardern said the attack can now only be described as a terrorist attack in one of New Zealand's 'darkest days. Bush said the New Zealand military defused two explosive devices attached to a car. After warning people to stay away from all mosques in New Zealand, Bush urged mosques throughout the country to close your doors until you hear from us again. A lockdown on all schools in Christchurch has been lifted, but the city remains on high alert. Thursdays attacks are unprecedented in New Zealand, a country of 4.5 million people that prides itself on its social diversity.